Nike Nike SB Dunk High "Dog Walker"
The "Dog Walker" Nike SB Dunk High features an eclectic mix of panels representing various dog breeds, most notably Dalmatian spots along the sides. Green suede overlays are symbolic of grass, while the Swooshes are treated to collar-inspired nylon construction. Release date is April 20, 2019 at a retail price of $100. 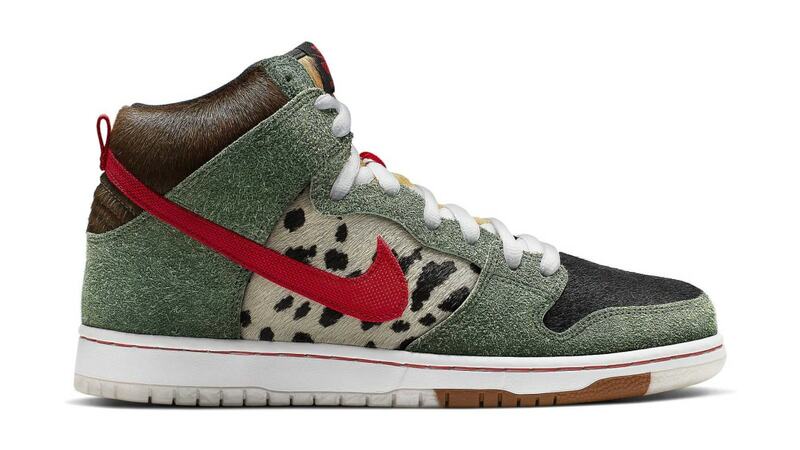 News Nike SB Dunk High "Dog Walker"